When Portland, Oregon, jazz guitarist John Stowell takes a solo, he aims high. Literally. Stowell's guitar sits on his lap at a 45-degree angle, aimed at the stars. This may be unconventional, but it seems to allow the fingers on his left hand to zoom over the fret board with stunning dexterity. 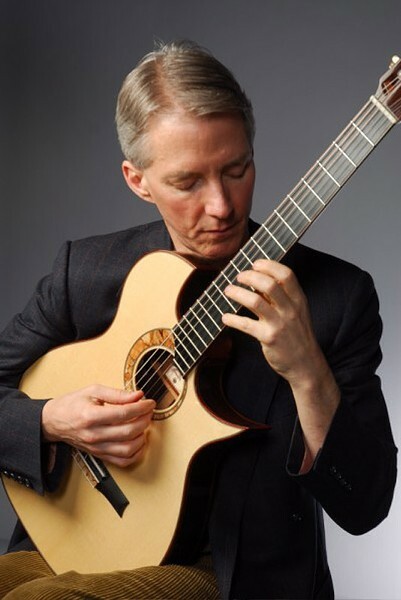 Stowell is a wonderfully melodic guitarist who has played with Milt Jackson, Art Farmer, Lionel Hampton, and many others. When he takes the stage at Bernunzio's he'll be playing a duo concert with Rochester's world-class guitarist, Bob Sneider, whose style and guitar position are both straight ahead. John Stowell performs Wednesday, November 14, 7 p.m. at Bernunzio's Uptown Music, 122 East Ave. $7-$10. 473-6140, bernunzio.com.